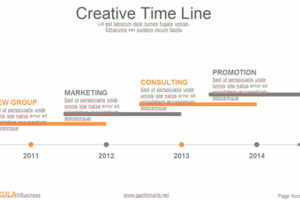 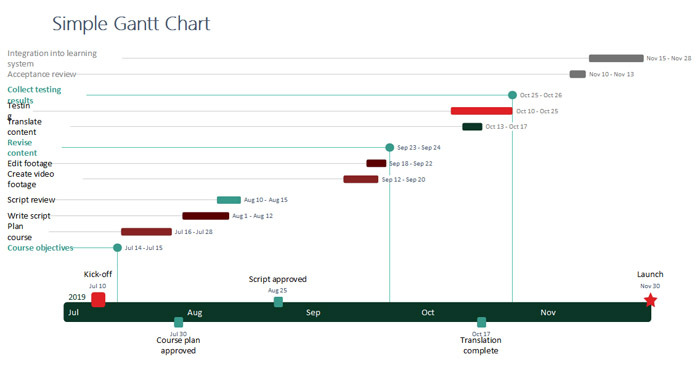 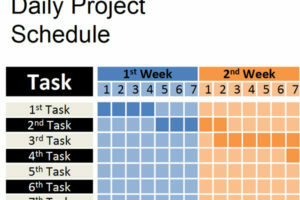 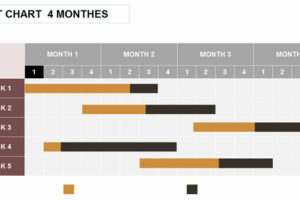 * This free simple Gantt chart template was created to help project managers build clean summary plans and reports that outline the entire life of their project on a single slide and allow everyone to instantly see how all pieces fit together. 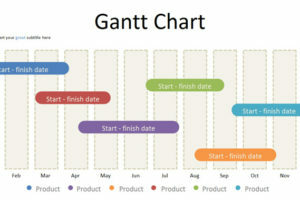 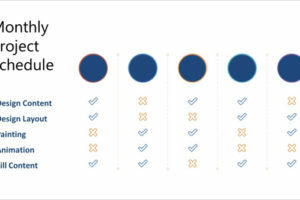 Built natively in PowerPoint, the simple Gantt can be quickly restyled, updated, printed and shared by anyone who has the familiar presentation software installed. 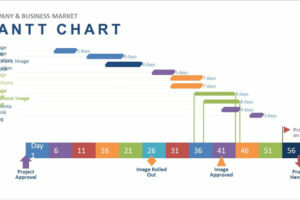 © 2019 GanttCharts.net All Rights Reserved.